Standard Chartered bank is to cut 15,000 jobs and raise $5.1 billion to create a “lean, focused and well-capitalized” group. About $3 billion being raised in the rights issue will cover reorganization costs. The remainder will be used to strengthen the bank’s balance sheet. The restructuring was announced as Standard Chartered reported a “disappointing” pre-tax loss of $139 million in Q3 of 2015. That compared with a profit of $1.5 billion for the same period of 2014. Revenue fell 18.4% to $3.68 billion and losses on bad loans almost doubled to $1.23 billion for Q3 of 2015. The job cuts are part of a restructuring program to take place over the next three years. Standard Chartered gave few details about the staff reductions, but the figure could include businesses it plans to sell. It employs 86,000 people. Bill Winters announced a strategic review of Standard Chartered when he took over as chief executive in June. He put a new management team in place the following month and analysts had been expecting the bank to seek additional capital to shore up its balance sheet. Bill Winters acknowledged the challenging business environment facing the bank. “This is … an aggressive and decisive set of actions to fundamentally shore up the underpinnings of the bank,” he said on a conference call. Standard Chartered shares fell more than 6% in early trading in London and by 3.2% in Hong Kong. The bank has already shed some businesses, in Hong Kong, China and Korea, to help improve its capital position. Among the plans announced on November 3, Standard Chartered said it would invest more than $1 billion to reposition its retail banking, private banking and wealth management businesses, as well as upgrade its Africa franchise and yuan services. The rights issue had the backing of Temasek, Singapore’s state investment company and Standard Chartered’s largest shareholder. 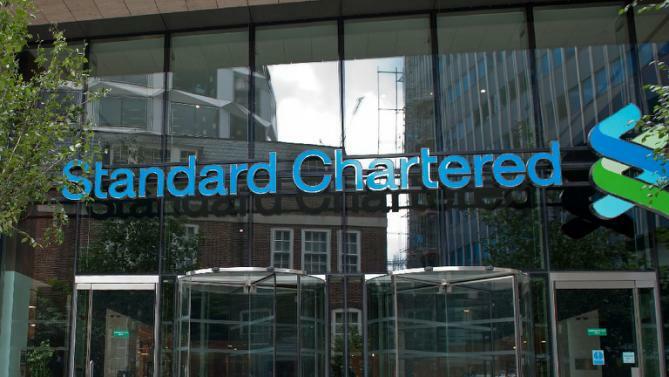 The rights issue, Standard Chartered’s first since 2010, will be launched on November 3 at a price of 465p a share – a 35% discount to its closing price on November 2. Two new shares will be issued for every seven existing shares. Standard Chartered has also axed the final dividend for 2015 to conserve cash.